I fear that all the talk of deflation and the falling price of commodities, even gold and silver, are leading people to the wrong conclusions. In the last couple of years, I hired the two best writers I could find – Andy Hoffman and Bill Holter – to present Miles Franklin’s views to you. Heck, I’ll be 73 in four months and I figured it’s time to slow down a bit and hand over most of the writing to the “young” guys. But things are now getting so out of hand, I think it’s appropriate that I give you my own take on what’s happening. Let me put it this way – Things are really spiraling out of control. This recent mid-term election offers all the proof you need to see that most Americans are fed up with the way things are headed. They may not know the reality of it (as hopefully you do), but they know things are not headed in the right direction. So we threw out a few Democrats and replaced them with a few Republicans and everything will be all right now – NOT. On a financial level, I know to many of you, it is confusing and discouraging to. 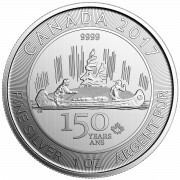 In spite of what I have written for years, many of you still look at your gold and silver as an investment, when in fact they are an insurance policy and they are real, solid forms of money. You bought gold, silver and platinum because we told you it was the thing to do. And now, with prices falling and talk of $700 gold and $8 silver and deflation, doubt is starting to creep into your thoughts. Stop it right now. Things are NOT what they appear to be. The smart money is not selling; they are buying – buying physical gold and silver. 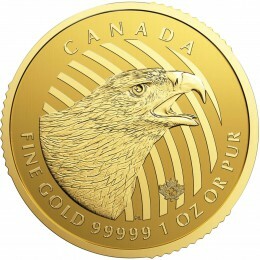 In fact the demand is so great, the US Mint and the Canadian Mint are running out of product to sell. That should tell you all you need to know. The smart money knows where this is headed. The average man in the street will be the last to figure it out, and by then, it will be too late. You are going to have to take a stand here. It’s not easy. There isn’t any middle ground. You will be either right or wrong, but you still will have to make a choice. 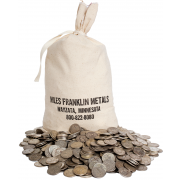 All of us at Miles Franklin have made ours, long ago, and we are not wavering. I have written about the inflation/deflation debate for the last 10-years. Nothing I see over the last decade has changed my mind. The central banks will not, cannot allow deflation to take hold because of the massive amount of debt and leverage in the markets, especially the bond markets. The central banks will have to keep on creating money out of thin air to purchase bonds because rising interest rates will sink everything. All the central banks will have to follow the Japanese model or else their currencies will become too strong and it will choke off their economies. The Swiss franc has to follow the euro, to be competitive in their exports. Korea and China will have to follow Japan, to be competitive with their exports. We are not immune to this either. If we allow the dollar to get too strong (relative to the other junk currencies out there) our export-based industries will wither and die. There is no winning this anymore. Buying a little more time (maybe very little now) is the only strategy they all have. I just received a copy of the SFG Weekly from a friend. I am re-printing it for you to read right here, in my section of the newsletter. It is too important to drop it down to the Featured Articles section that I always put together for you. It belongs here, in the beginning, where most of you will read it. It is very important that you read, and understand what Savage is saying. But before I present it to you, I have a few things I want to say about it. I fear that all the talk of deflation and the falling price of commodities, even gold and silver, are leading people to the wrong conclusions. Many of our readers now fear deflation when their real fear should be total debasement of (all) fiat currencies. John Williams and Jim Sinclair get it. But they are the “old-timers” and their credibility is on the wane with many people now – because their warnings came too early. Inflation does not have to accompany a strong economy. In fact a weak economy will lead to more printing and debasement of the dollar, leading to rising prices (especially commodities). First comes the inflation, then the deflation (or Depression). Think of Germany in the 1920s, with the Weimar hyperinflation, followed by the Great Depression. Japan of 2014 is Germany of 1921. I have never believed that deflation here is possible. The minute it starts to show up in the data – falling stock market, falling real estate market, rising unemployment, sinking economy, etc. – the Fed will do exactly what Japan is doing now. This is a major fake-out. Richard Russell is right. “Inflate or die.” Perhaps you should read Jim Rickards The Death Of Money. It will be on a global event. He’s talking about a currency war or competitive devaluations. This will not end well – and if Savage’s Weimar analogy is even remotely correct, WWIII can’t be that far off just as the German hyperinflation sowed the seeds of WWII. But this time many of the participants have nuclear weapons. John Mauldin discussed Japan’s inflation recently. But as far as I know, and I have followed him for over 10 years, he has never had much use for gold. His current take on the Japanese debasement is the dollar will rise and rise as the yen and other currencies self-destruct. He is pro-dollar (and therefore anti-gold) I don’t believe this will happen because if the Fed stops printing, our economy, stock market and real estate market will be toast. I was curious to see what my friend Bill Fleckenstein had to say about some of these topics, so I sent him an email on Thursday. His perspective (as a hedge fund guy) is a bit different from the usual suspects I know in our industry. So I sent him the following email. The common view now is that the dollar will continue to strengthen, well into the future (even though many admit it’s just the best of a bad lot of fiat currencies). Do you agree (I would think not)? There are many “experts” now who feel that deflation is the main threat. To me the real issue is will the Fed allow it? Japan certainly has pulled out all the stops. Will Yellen follow Greenspan and Bernanke or will she allow everything to cater? (I think not, and then, the deflation quickly turns into serious inflation.) What do you think? I value your views. Any comments? The dollar could flame out at any time; it’s all hype. No deflation is possible until after the printing press is taken away. I think gold will dig in around here somewhere, but I have been dead wrong so far. I have been fielding a few calls over the last few days from people who are surprised that Japan increased the size of their QE (“printing” up money and buying stocks and bonds with the newly issued cash) just 48 hours after the Federal Reserve in the United States finished its latest version. The major sentiment that I am hearing is that this could go on forever and that after Japan is tapped out the EU will take over, etc. I would like to take a moment and give you my take on this. This move makes it perfectly clear that the world economy is addicted to the money “printing” and stock and bond markets would go into a swan dive without this support. This action appears to me to be the most desperate move that I have ever seen a central bank make. It appears to me that when central banks are willing to throw their citizens under the bus with increasing prices across the board without a corresponding increase in wages and issue new massive amounts of debt to pay off interest and current bills we are closer to a cliff than a launch pad. If you think I may be exaggerating the Japanese Central Bank has increased its QE 30% to 750 billion dollars per year. Just to give you an idea of how massive that is, if we in the United States had QE based upon the size of our GDP it would be like “printing” $2.5 TRILLION dollars per year. This comes at a time when Japan’s Debt to GDP is a massive 250% and is over 600% if you include business, household and financial sector debt. (David Stockman) It is now set to explode higher along with most import prices and necessities of life. When you consider that Japan has few natural resources of their own and import most of their food and energy the declining value of the yen (which is what they want) will likely increase living expenses and put a major dent in the standard of living of most of the Japanese. Japan had a 22-year head start in their deflationary environment. Unfortunately, it doesn’t appear that our central bank has learned the lessons that Japan should have taught. Over the past 25 years the Japanese have had massive infrastructure projects, money “printing”, debt monetization (buying bonds that nobody else will buy because the yield is not sufficient for the risk), and many financial games to make it look like progress was being made. What do they have to show for all of this? Massive debts that can obviously not be paid unless the Yen is devalued a LOT more. They have an economy that is crippled because of the massive debt and no growth to make it easier to pay. It appears that the Bank of Japan is not only the buyer of last resort for Japanese government bonds but the buyer of ONLY resort. Who in their right mind would buy a bond that is paying less than ½% when the central bank is assuring you that you will have at least 2% inflation? In addition, they have made it known that they will be reallocating their largest pension fund to increase stock exposure to 48% (24% Japan, 24% other). This leaves nothing to the imagination. The Japanese Central bank along with most other central banks are rigging the markets for their own benefit. They are now active in all markets and there is no way to deny that if they ever wanted to. Based upon the action in the markets for the week ending October 31, it appears that the short-term boost that was wanted was played out to near perfection. However, the seeds of ultimate destruction have been sown and they are visible right now. I fail to see any difference between what the Japanese are doing to their currency and what Weimar Germany did to their currency in the 1920s. It was at that time that the Mark traded from 4 marks to the dollar to over a trillion marks for a dollar just a few years later. People used wheelbarrows to carry the cash to get a loaf of bread. Thankfully, we have credit cards and ApplePay today so they won’t need wheelbarrows- just a lot of zeros to count! This phenomenon, which happened in Germany, did not happen all at once. There were signs, many like we are seeing today. Then, all at once- bang! It hit critical mass and could not be stopped until the currency was destroyed. Anyone who thinks these central banks have this under control- think again. It was the German central bank that caused the Weimar hyperinflation. This episode is the main reason that the Bundesbank (German Central Bank) will not allow European QE, at least so far. It is the Japanese Central bank that appears hell bent on decreasing the value of the Yen. They should be careful what they wish for. Wealthy people around the world have already started to divest of paper assets. They are trading paper for fine art, automobiles, real estate, enduring businesses, and metals. In the meantime, oil and commodities are selling off which seems to indicate that economic activity is slowing and appears to have no end in sight for that trend. So as the stock market continues its rise to new heights the underlying economy is becoming more and more anemic. This should not be any surprise as all of this new debt that is being created to pay off new debt and interest on previously issued debt is exactly what is choking off lending for productive use- like infrastructure, new companies and jobs. It is too bad that most people are brainwashed by the propaganda on mainstream TV and think that all of this is normal. It is not! The one thing that is different this time is that in the past there would be a country or two that would debase their currency and pay the price. Today, the whole world is in on it. I am not looking forward to when this comes to a head! While many may look at this as gloom and doom I look at this as reality. I also look at it as an opportunity. It will only be an opportunity if you have a plan to take advantage of it. Too many people are in a panic about gold and silver plummeting. They bought when the PM’s were very high. Likely, nobody who bought silver at $4 or gold at $250 is too concerned. Price fluctuation, especially due to manipulation is to be expected. With the Swiss referendum coming up soon, is the flagrant naked shorting of gold to drive its price down and reduce its attractiveness any wonder? Duh! The problems with the PM’s is not price fluctuation, which is to be expected. The problem has been with certain people in the PM industry who have made bold predictions of imminent “moonshots” to $10,000 gold. These predictions brought out all the get rich quick buyers who erroneously believed they were going to go from rags to riches overnight. The same thing has happened with oil and natural gas. As a nation, America has developed an instant gratification mindset, and it is easy to pander to that mindset by promising imminent $10,000 gold, but such promises lead to disillusionment. The world financial system is clearly unraveling. 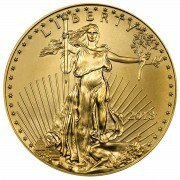 As conditions turn more desperate, it is highly unlikely that gold will become worthless. It is pretty much certain however, that fiat currencies will go to zero. They always do. The PM’s are not and never have been for small investors looking for a fast buck. They are an insurance policy, not an investment vehicle.